What better way to use your grill this Fall? This is sure to be a hit with the kids and who are we kidding, for us as well. You can even amp it up with a large scoop of ice cream! In a saucepan over medium heat melt the chocolate with the milk, cornstarch, and marshmallow fluff. Turn off the heat and incorporate the cookies. Stir to combine. In a skillet place the pie crust, pour the chocolate mix, and top with the large marshmallows. Transfer the skillet to the grill and cook until done. Serve and enjoy. 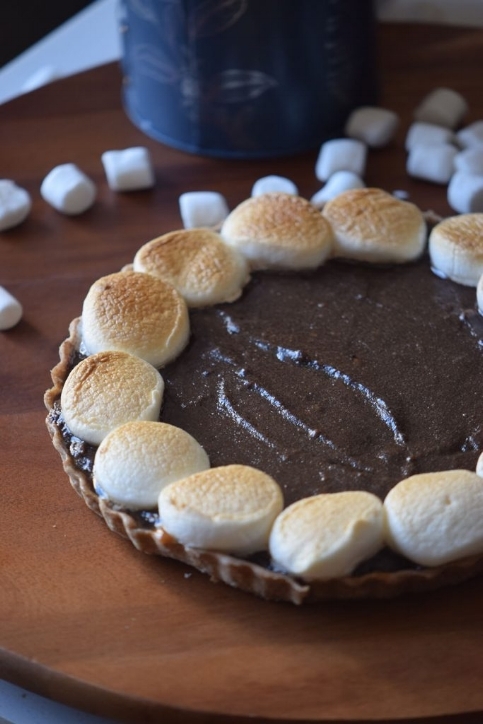 We hope that you love our Grilled S’mores Pie Recipe.